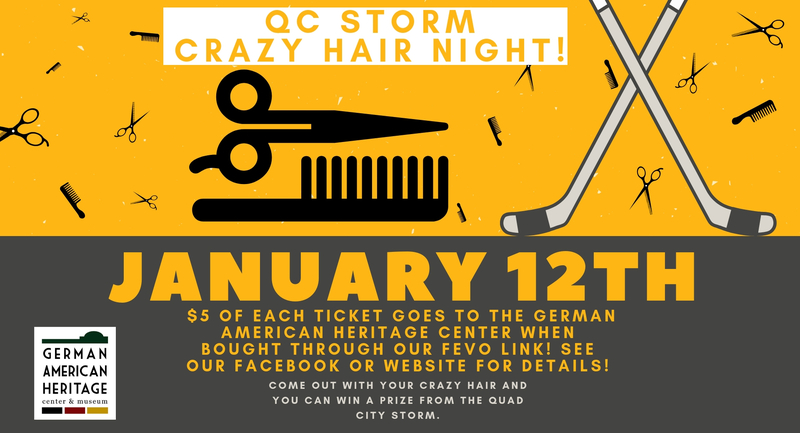 Another exciting game and opportunity to support the German American Heritage Center is coming up on January 12th @ 7:10 PM! The QC Storm will take on the Knoxville Ice Bears on the ice. It is also crazy hair night! Sport your craziest hair for a chance to win a prize! The German American Heritage Center will receive $5 from every ticket sold through the link below! Hope to see you there!